Author’s Note: This is a 2nd edition without substantive changes from the 1st edition, which was part of the It Was Always You anthology. Whilst this is a short story, we get much more than just the bare bones of a satisfying romance. For me, there was a strong message being subtly delivered. Don't judge a man by his bank account, and certainly don't make assumptions without asking first. Funny thing is that Kyle just doesn't get that his opinions could be reversed by Brent, but he is nothing but friendly. I loved how consistency and caring won through in the end. Along with some serious hotness, of course, these two elements come hand in hand with this talented author. I find it difficult to be objective about a story when I really dislike the main character/narrator. And I pretty much hated Kyle from start to finish. A working class boy who worked hard to become successful in finance, Kyle has an irrational hatred for Brent – a trust fund kid who doesn’t need to work. Kyle’s behaviour towards Brent is awful for most of the story. In turn, Brent is only ever kind to Kyle. As a result, I still don’t understand why Brent put up with Kyle and I certainly didn’t feel any sort of connection between the two. Romance doesn’t often work well in a short story format. Here, there just isn’t enough character or plot development to make a connection between Kyle and Brent feel plausible. I usually love this author’s novels, so I was surprised by the flat characters and simple storyline. Short story fans may enjoy this more than I did. Personally, I much prefer the complexity of this author’s novels. 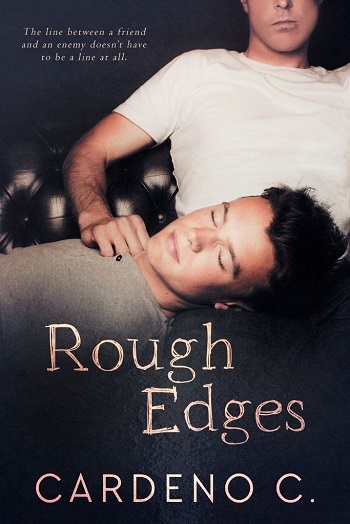 Reviewers on the Wicked Reads Review Team were provided a free copy of Rough Edges by Cardeno C. to read and review for this tour.